Capodimonte Style Vase or is it French or German? I have a Large Capodimonte Style Vase which was Left to me by uncle. I cannot identify the manufacturer of this magnificent vase and cover, but believe it to be in the style of Italian Capodimonte Porcelain. I am told by friends that it is possibly 17th century and could be valuable. Also that it may be French or German porcelain. 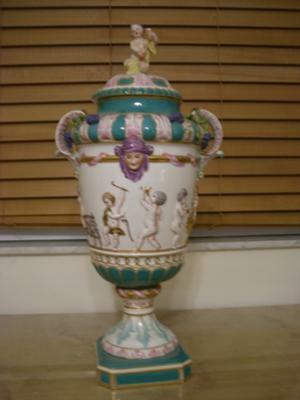 If anyone could help identify this large capodimonte style vase, I would greatly appreciate your help. This certainly looks more like Berlin Porcelain than Capodimonte. 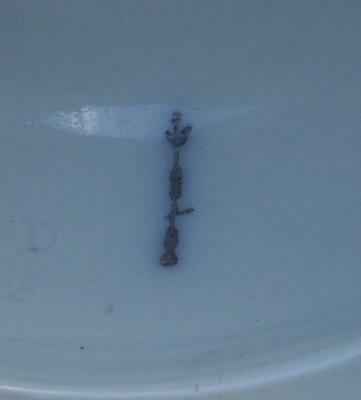 You should take a look at the marks on the – Berlin Porcelain marks page. It looks to be a KPM Berlin crown & scepter mark. This particular style was used from 1870-1945, then altered somewhat (in the style that I see on you vase) from 1945-1962.